Just been watching my tank and have seen that 2 of my neons have what looks like a slight growth/deformed mouth At this moment in time I can't give any better info but will try to get a photo up. In the mean time any suggestions? what colour is the growth? are the neons faded at all? is the spot even (perfect circle) or not? does each fish have only one spot or many? which part of their mouth/head is it on? I've left the pics big to try and show it better, sorry top one is c**p.
full list of tank occupants please. the pic i posted is of "cottom mouth" or "mouth fungus". 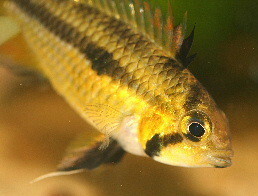 treatment depends on what other fish you have in the tank as there are many species which are sencitive towards copper. examine the fins closely and tell me if they are disintergrating? also look closely at the scales, are there any white marks/lines on them? No white marks on the fish and the fins seem fine although 2 of the guppys tails are a bit "stringy"
untill you can ID the disease more accurately, i recommend you do 25% w/c as soon as possible, then keep doing dayly 10% w/c ALWAYS syphoning or taking the water from the bottom of the tank. do a full dose of a general anti fungal anticeptic. it might be best if you give us dayly updates and mention the dosage and the make of the meds you'll use. I have taken out the carbon, when should I put it back in? put the carbon back after 48 hours once the full treatment is done.